The grinding-polishing machine is a double-disc desktop, applicable to rough grinding, accurate grinding and polishing of metallographic sample. The machine has microprocessor control system, with a speed of 50-600rpm, thus widening its application. The machine is an indispensable equipment in making the metallographic sample. The machine has a cooling device to cool the sample during grinding and polishing, thus preventing the damage of the metallographic structure caused by overheat of the sample. 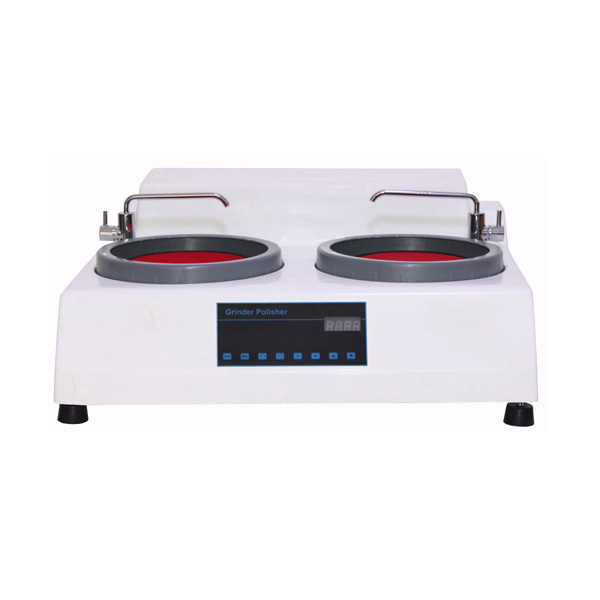 The machine, easy to use, safe and reliable, is an ideal preparation equipment for the labs of plants, research institutes and universities and colleges etc.. Looking for ideal Grinding Polishing Machine Price Manufacturer & supplier ? We have a wide selection at great prices to help you get creative. All the Metallographic Polishing Machine Price are quality guaranteed. We are China Origin Factory of Sample Grinding and Polishing Machine. If you have any question, please feel free to contact us.